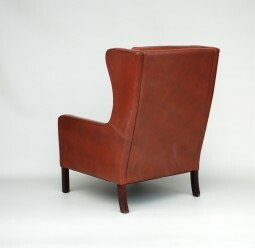 The chair has a high back and wings. It is as small as you will find, because there's no bulk to the arms or back, but the seat is generous, and with the sloping back it is very comfortable. 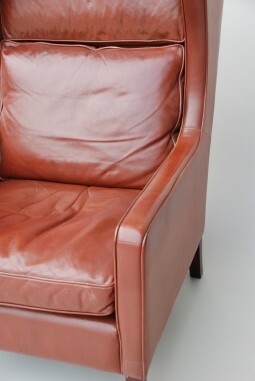 The colour is a popular cognac brown: rich, warm and lived in. 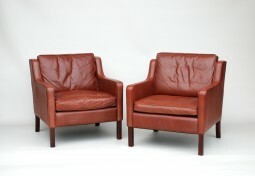 This is exactly how I like to buy them, this is an antique from the mid twentieth century. 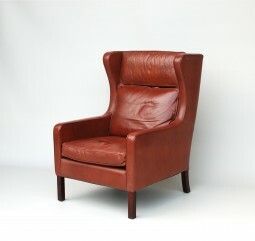 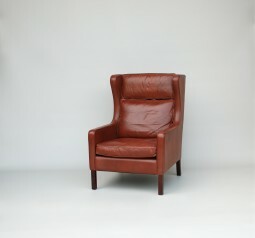 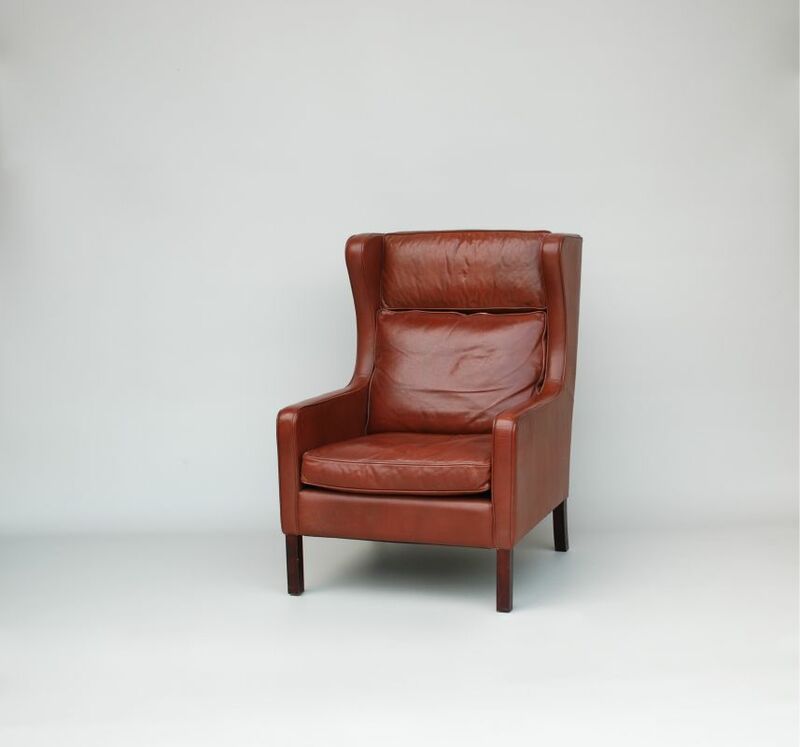 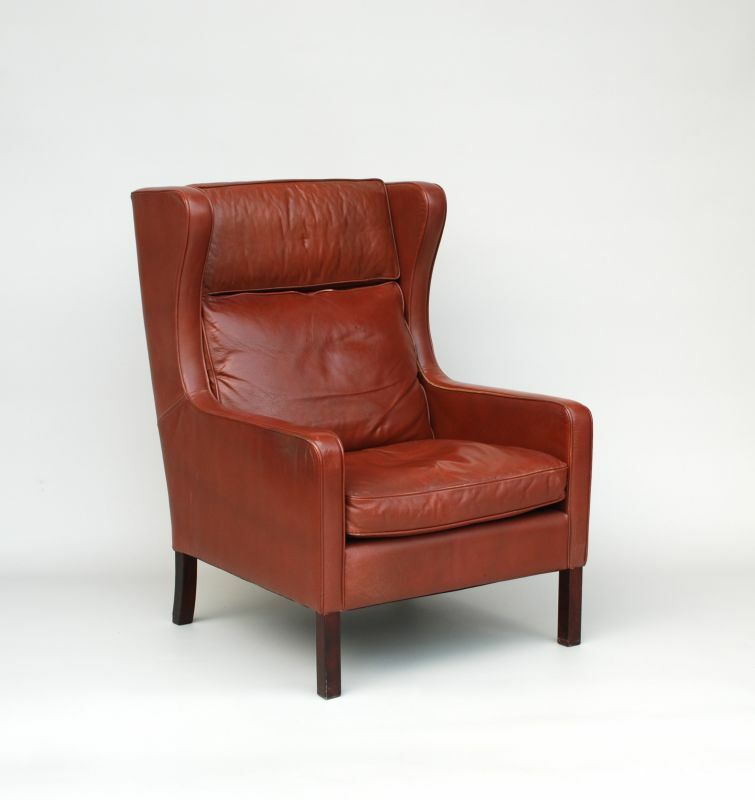 Classic design with natural materials and colours, this chair will fit into either a modernist or traditional setting. 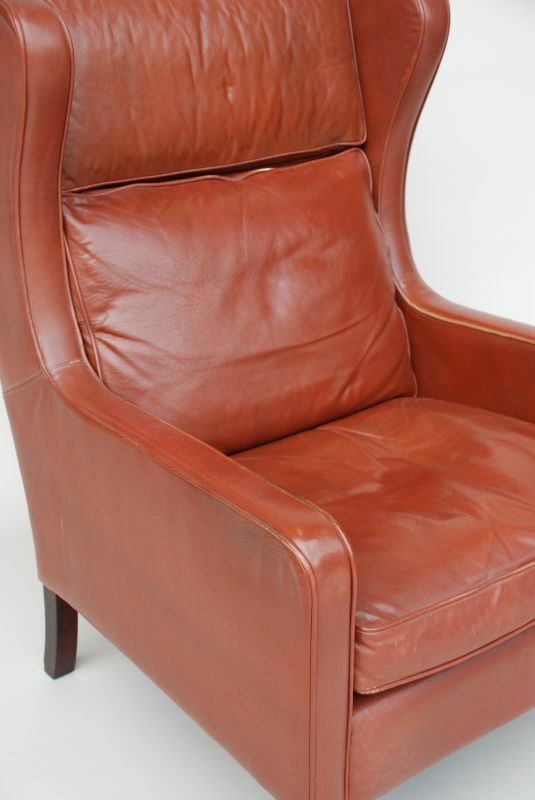 The chair was designed in the 1950s but was probably made in the 70s, it is in very good original condition, and has been cleaned and waxed. There are a pair of low back armchairs in the same style and colour on another page. The measurements are 28½ inches (72 cm) wide, 35 inches (89 cm) deep and 41 inches (74 cm) high, and the seat is 17 inches (43 cm) high.